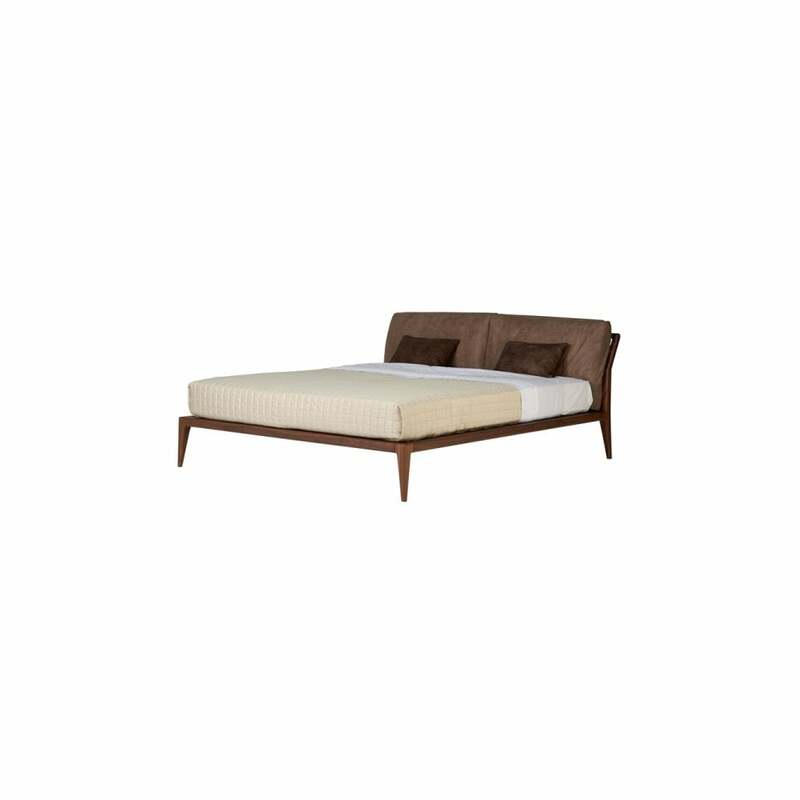 The Indigo bed is a clean and simple design but loses nothing on style or class, beautifully crafted by Italian artisans to produced an ultra smooth, solid American walnut frame, with perfect curves and angles. The side sections are in linden, veneered in walnut. The simple backrest has leather strip and toggle closures in brass which support 2 large loose removable top quality polyether foam cushions. Create a complete look with the stunning Indigo Chest of Drawers or Ottoman, a place to rest and relax created with contemporary simple lines and space. The slatted frame and mattress are not included. Priced for cat 2 fabric with Walnut or Havana Woods, other options available.